Although reasons for change can be diverse, the mechanism of change is always guided by an organization's people. NCG’s approach focusses on people-led change and development, and as such touches every level of the organization. We have a clear set of principles that underpin our perspective on change management. NCG combines expertise in business and brand strategy, organizational analysis, and change and project management. Our strength lies in our ability to directly link an organization's promise - it's vision, culture and brand - to it's delivery, by means of its people, structure, processes and operations. We follow an approach that starts with an analysis of the organization, it's environment and stakeholders. This forms the basis for the definition of a vision and strategic roadmap to enable change and transformation. NCG provides project, interim and change management for its client organizations. The Nelissen Consulting Group operates on the intersection of brand strategy and organizational development. By simultaneously defining an organization’s future strategic direction and the structural change required to deliver on this direction, NCG helps companies be the best they can be. 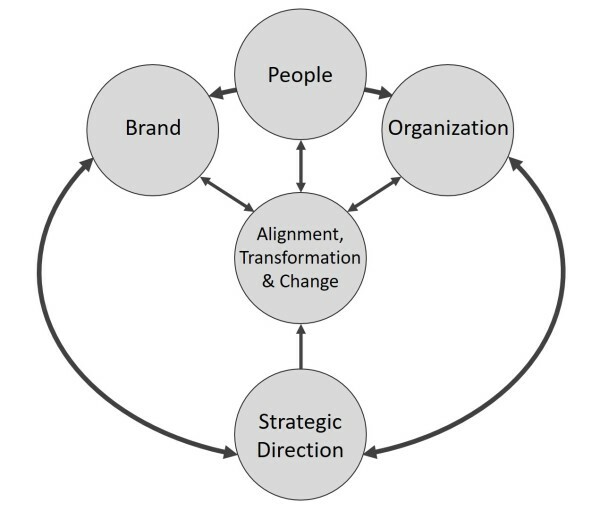 Where the definition of a strategic direction forms the guiding principle for alignment, transformation and change, the levers of change we apply are brand, organizational structure, and most importantly, people. NCG provides a holistic approach, connecting and impacting the internal and external environment of a company. We have helped organizations to define purpose, vision and brand strategy, and have successfully delivered development programs to facilitate change at every level of the organization. ​NCG enables an organization to transform by aligning its foundational purpose and strategy - through deployment of structure, capabilities, operations and brand - to team dynamics, responsibilities and individual roles. 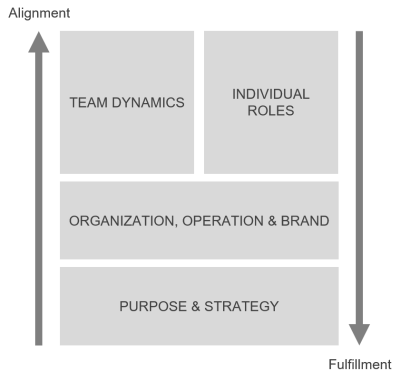 Through focused and shared action plans, this approach allows the organization to instill ownership and accountability within every layer of the organization, and fulfill its strategic intent and purpose. Our approach is customized for each client assignment. We evaluate an organization’s current situation, determine it’s desired focus and direction, and define strategic and operational efforts to accelerate growth. Change has to be inclusive, carried by the entire organization, with shared responsibilities and ownership. First, start with gaining perspective, including all stakeholders. Know what is going on. And base a future direction on a thorough understanding of past and present. Then, involve employees in the definition and implementation of change and development. Celebrate success with all employees and stakeholders, no-matter how small the achievement is. We believe in frequent communication, with a clear mandate and accountability. Lead by example, practice what you preach, answer all questions sincerely, and always follow up: it’s not what you say, but what people hear, see and feel that counts. A high-level strategic approach to change is always the basis of a company restructuring or future planning. Translating that vision into comprehensible bite-size chunks is what drives day-to-day change. Change is initiated either voluntarily, through a desire for continuous development and the implementation of a new direction, or involuntarily, through changing circumstances or unexpected events. Change and development require direction, leadership, and support. This is realized by combining top-down efforts to direct change, and bottom-up efforts to create a foundation and support for change, and allow implementation throughout the organization. It’s important to establish a number of key organizational principles that count for all, are non-negotiable and form the basis of all activity. Then fill in the details of the change program according to employees' and teams' specific circumstances and needs, while staying in-line with overall objectives and direction. This allows for a shared vision of the future, with practical translation into change projects that are applicable to every constituent part of the organization. To enable development and change, NCG works with clients in various ways, including taking the role of advisor, providing project and/or interim management, and leadership team support. Client engagements can be structured on a permanent or part-time basis, depending on the project at hand. Interaction and collaboration with clients is always bespoke and personal.